Aachen. 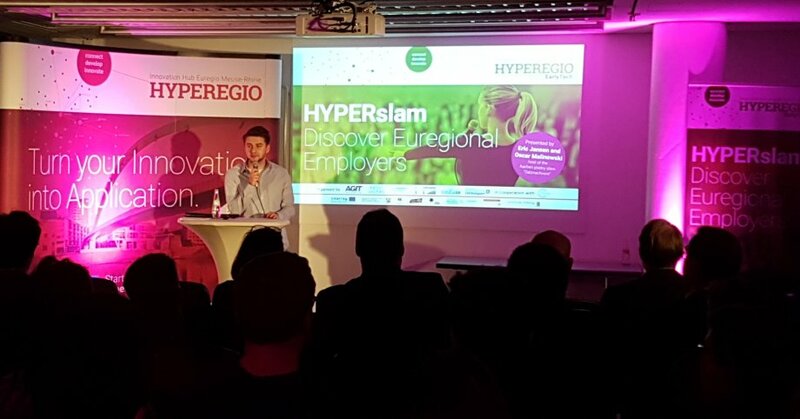 This year again the HYPERSlam was one of the highlights at the “Night of the Companies”, the annual entertaining job search in Aachen. Every year more than 2,000 visitors come to the Technology Centre to establish contacts with potential employers.